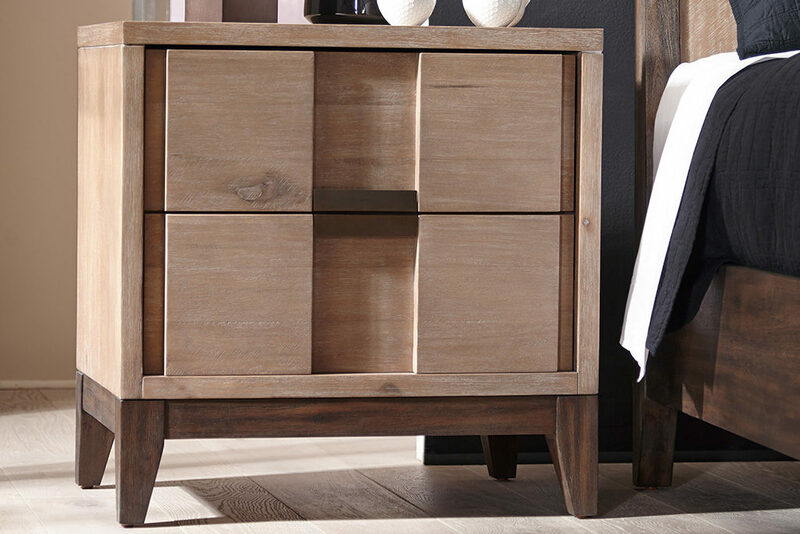 is made from solid Acacia wood. 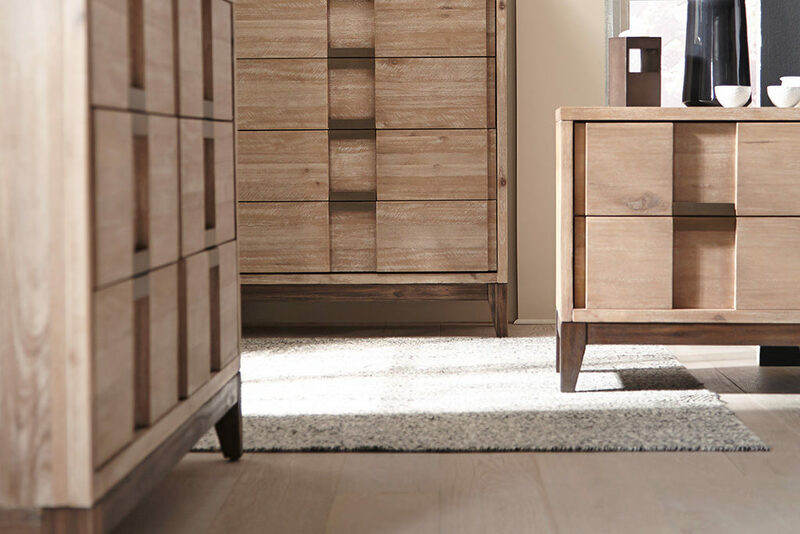 This modern design cleverly blends the earthly rustic qualities of Acacia with clean lines and geometric forms. 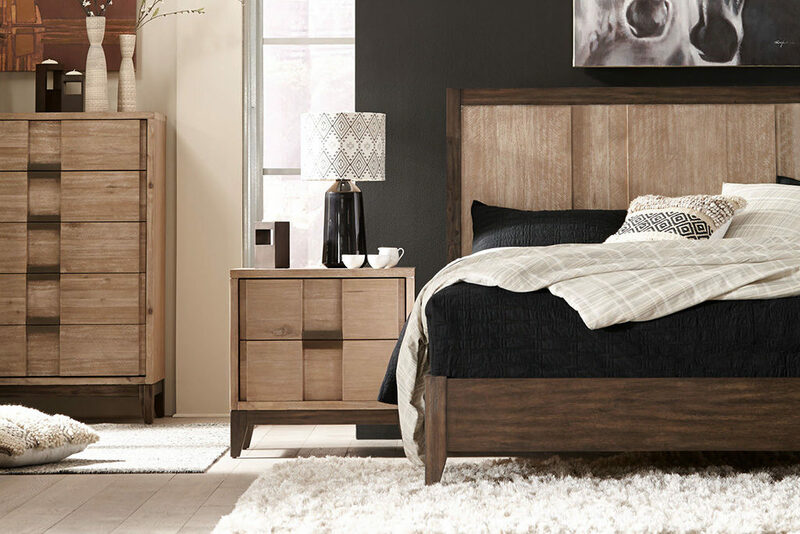 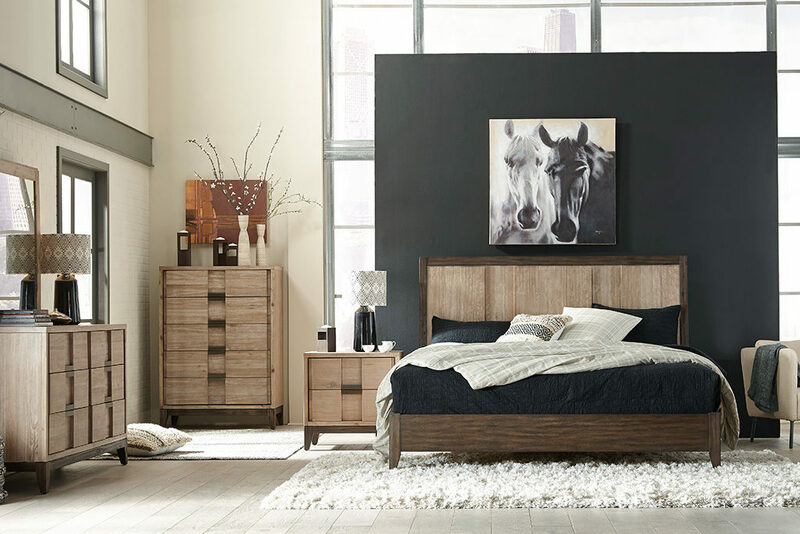 Crisp lines with and a contrasting face frame define the cases; while incorporating a unique textured solid acacia headboard paired with a low profile footboard complete the bedroom.